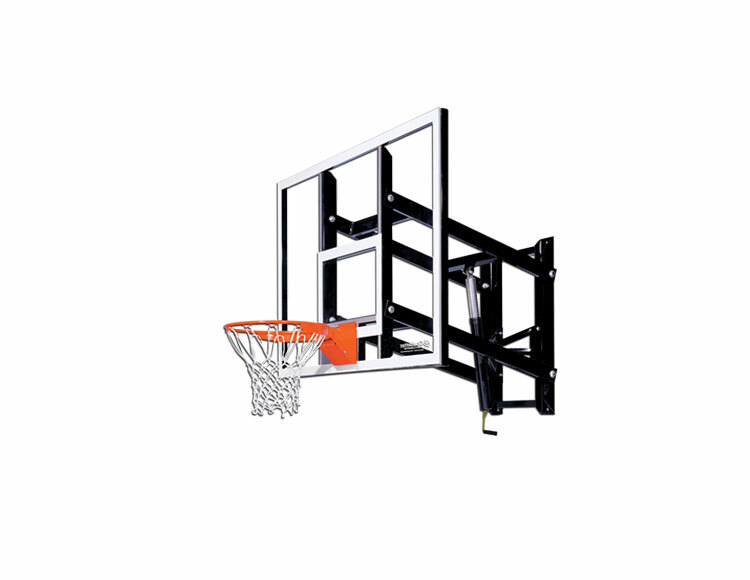 The Goalsetter GS60 60-in glass wall mount basketball system gives you easy height adjustability in a limited space. 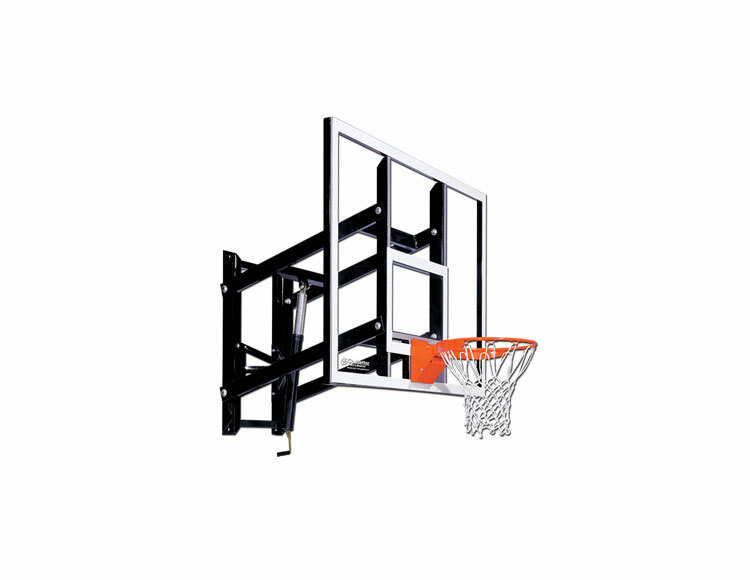 The Compression Height Adjustment System smoothly transitions the rim height between 6 and 10 ft with a simple turn of the handle. It’s set-up with a 38-in x 60-in glass backboard and a Heavy-Duty Flex rim. 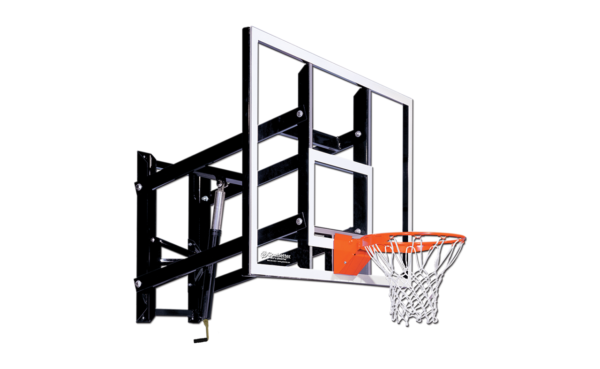 Goalsetter Basektball Systems provide a high-end system for a consumer end price. The GS60 is mountable to a wall using its extension brackets, which provides 3 ft. of clearance between the mounted surface on the backboard. The backboard on this system is a 3/8 inch thick, tempered glass. The pricing on this unit includes a limited lifetime warranty from Goalsetter.